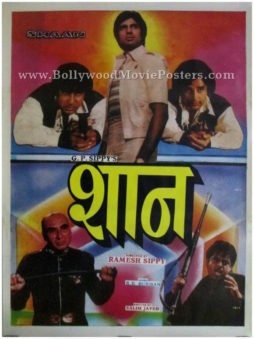 Old Amitabh movie poster for sale of the superhero fantasy Hindi film, Ajooba (1991). 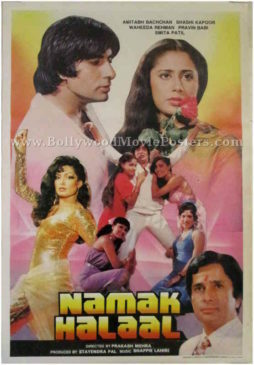 Printed and circulated during the original first release of the film (somewhere in the early 1990s), this old Amitabh movie poster was designed for publicity of the film but never ended up being used. 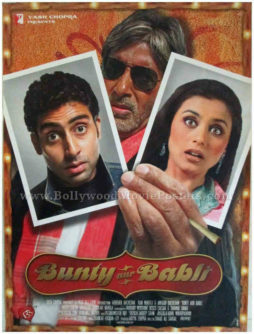 This Amitabh Bachchan poster features a stunning photographic collage and was designed originally on a board by Bollywood poster artist Ravi. 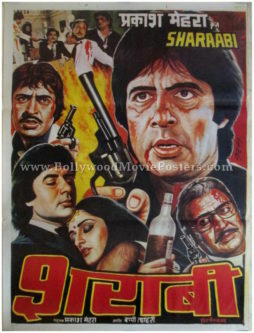 The superstar is seen prominently at the center of this Amitabh Bachchan poster in a superhero gladiator avatar wearing a cape and his trademark bandit mask. 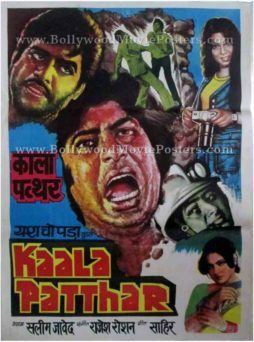 The title Ajooba appears at the bottom in interesting typography. 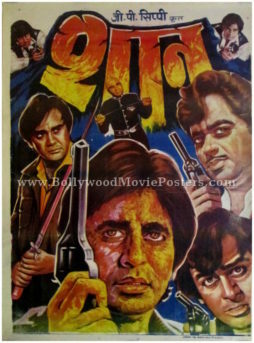 A fiery background gives this old Amitabh movie poster a stunning appearance. 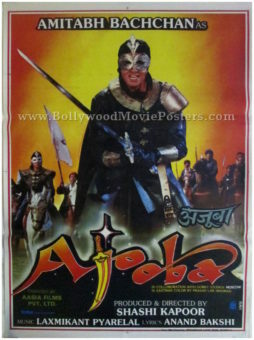 Vintage Bollywood poster for sale of the superhero fantasy Hindi film, Ajooba (1991). 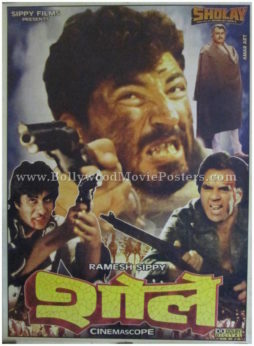 Printed and circulated during the first release of the film (somewhere in the early 1990s), this old Amitabh movie poster was originally designed for publicity of the film but never ended up being used. 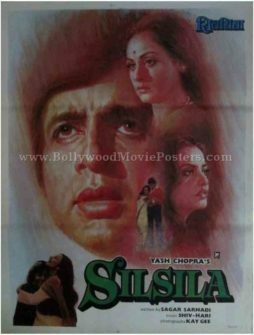 This vintage Bollywood poster features stunning hand painted artwork and was designed originally on canvas by one of India’s most famous artists, Prithvi Soni. 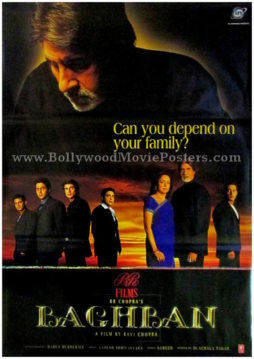 A printed signature of celebrated artist Prithvi Soni is seen on the right hand corner of this old Amitabh Bachchan poster. 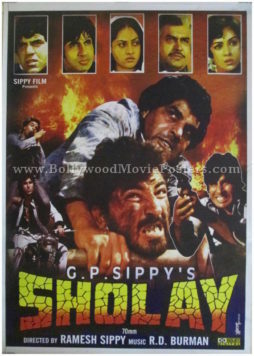 Prithvi Soni began his art career as a Bollywood poster painter and this rare hand painted Bollywood movie poster is one of the masterpieces he made towards the end of his Bollywood poster career. A fabulous portrait of superstar Amitabh Bachchan is seen painted prominently in the center with a beautiful rendition of actress Dimple Kapadia alongside. A key action scene from the film is seen in broad artistic brush strokes below. 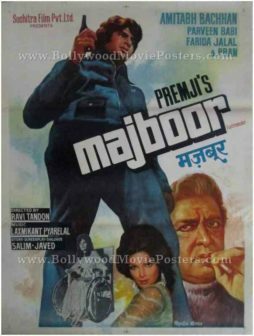 This vintage Bollywood poster features exemplary brushwork – typical of the style used by master Bollywood poster designer, Prithvi Soni. 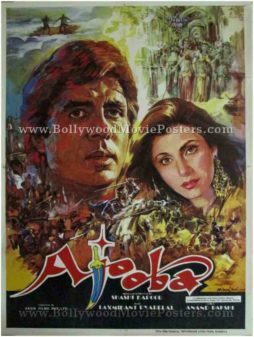 The title Ajooba appears at the bottom in interesting typography. 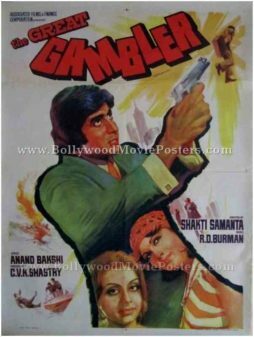 Vintage Bollywood poster of the hit Hindi film, The Great Gambler (1979) for sale. 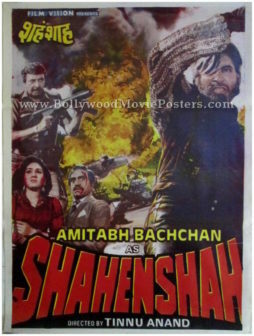 This is an actual surviving old Bollywood poster for sale of the 1979 thriller that featured the greatest superstar of Indian cinema, Amitabh Bachchan in the lead role. 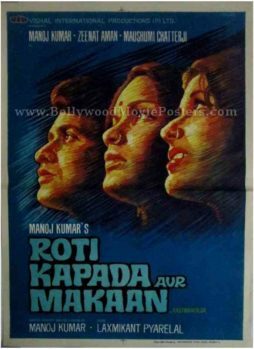 Printed and circulated during the first release of the film (somewhere in the late 1970s), this old Amitabh movie poster was originally designed for publicity of the film but never ended up being used. 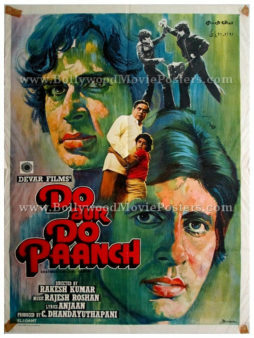 This Amitabh Bachchan poster features stunning hand painted artwork. A fabulous portrait of the superstar aiming a pistol is seen prominently at the center. Smaller faces of Zeenat Aman and Neetu Singh appear painted inside his blazer. 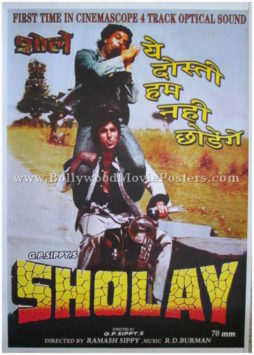 Interesting typography is seen in the hand painted title of this of this old Amitabh movie poster. The background displays a couple of key action scenes in broad artistic brush strokes. 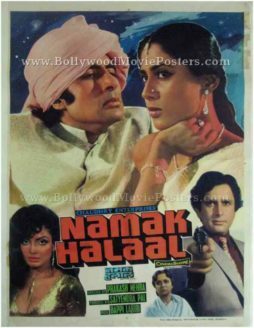 The Great Gambler is a 1979 Bollywood thriller directed by Shakti Samanta, starring Amitabh Bachchan, Zeenat Aman and Neetu Singh. 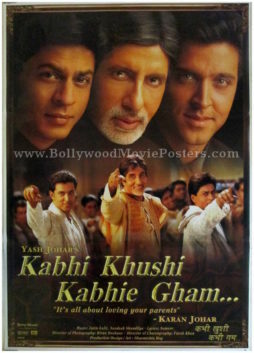 This Amitabh movie was a hit at the box office owing largely to key scenes shot at expensive foreign locations as well as its gripping plot based on international gangsters, spies and secret agents. The song “Do Lafzon Ki Hai Dil Ki Kahaani” shot on a moving Gondola in Venice's Grand Canal was a stellar success and is played till today.